Wayne Kelly is a true radio insider! He got his first job in radio back in 1988! Since then, he’s worked in Talk, CHR and Adult Contemporary formats as both a producer and radio host. He has been recognized as the Star of Tomorrow by the BCAB (British Columbia Association of Broadcasters) and was also instrumental in winning 2 national CAB (Canadian Association of Broadcasters) awards for KBS Radio. 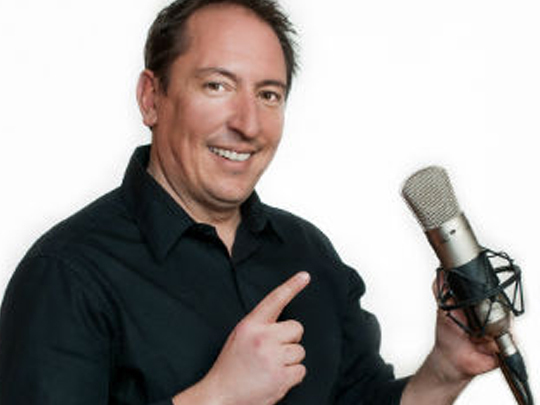 He can be heard weekday mornings on EZ ROCK hosting the Wayne and Jayne Morning Show, where he loves having fun, inspiring listeners, and talking with everyone from celebrities and motivational speakers, to reality TV contestants, authors, psychics and entrepreneurs.